This is it! 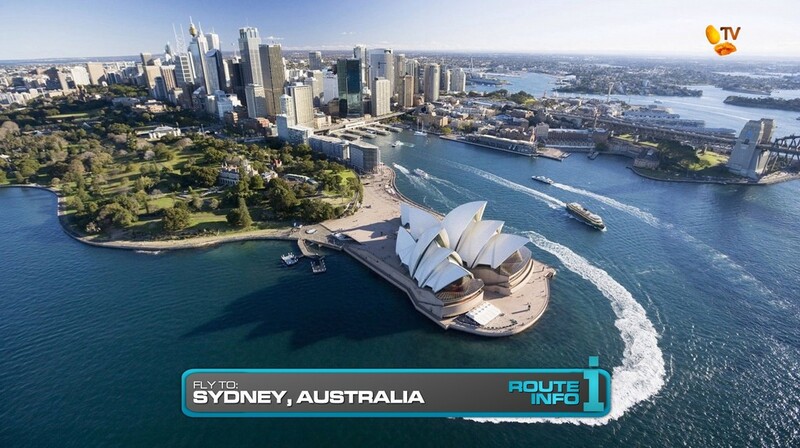 It’s the penultimate Leg and the final four teams will be flying to their penultimate city, Sydney Australia. All four teams will fly on the same flight via Hong Kong arriving in Sydney at 6:10am. 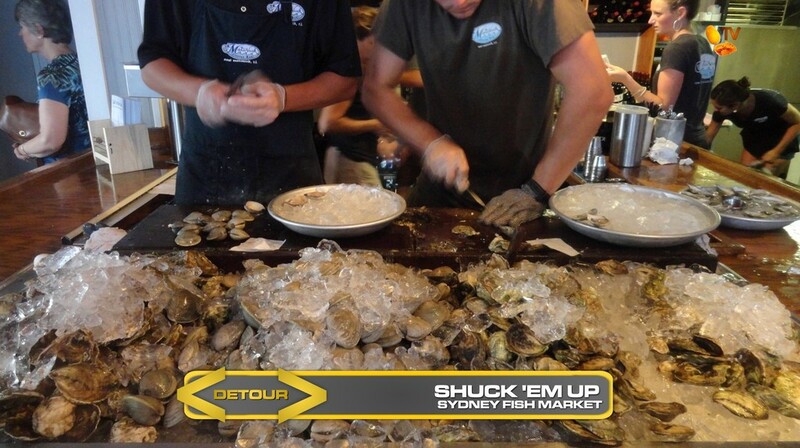 Teams will take a taxi to the Sydney Fish Market where they will find the Detour: Place Your Bid or Shuck ‘Em Up. 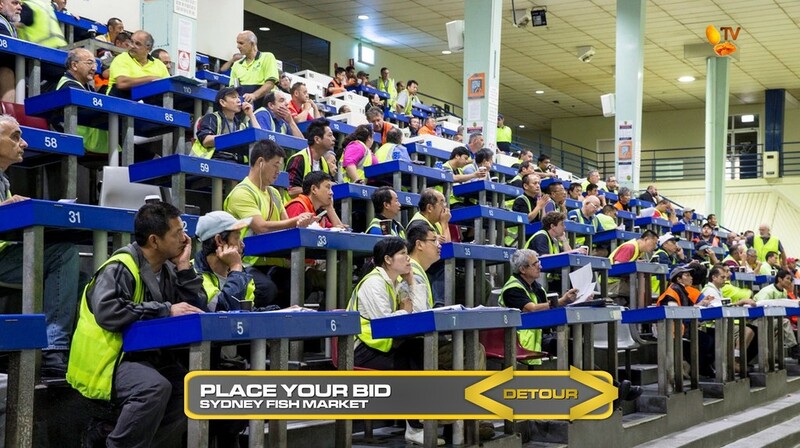 In Place Your Bid, teams will work with a local vendor to participate in the daily seafood auction at the market. After getting the rundown of the process, teams will be given a credit check which they will use to bid for two seafood products their vendor needs. Once teams have successfully bid for and purchased the needed seafood, they must retrieve the product, clear it through the removal gate and load it onto the vendor’s truck to receive their next clue. In Shuck ’em Up, teams must shuck 200 freshly caught oysters and properly package them according to provided order slips. They will then deliver the orders to two different restaurants at the Fish Market in exchange for receipts which they will then exchange for their next clue. 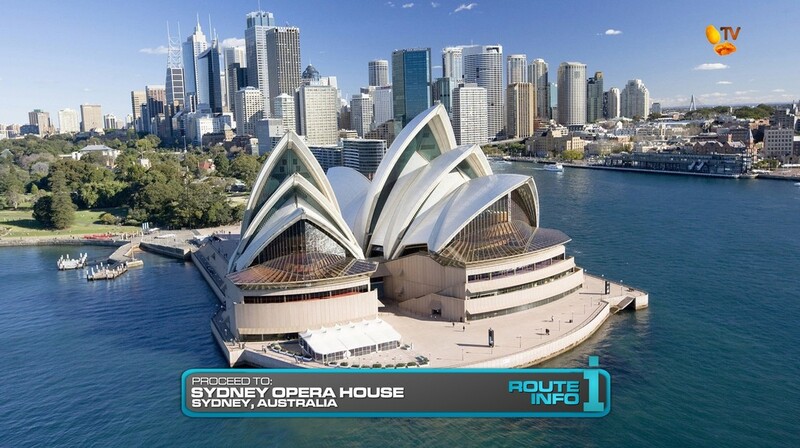 Teams must make their way to the Sydney Opera House where they will find the cluebox. 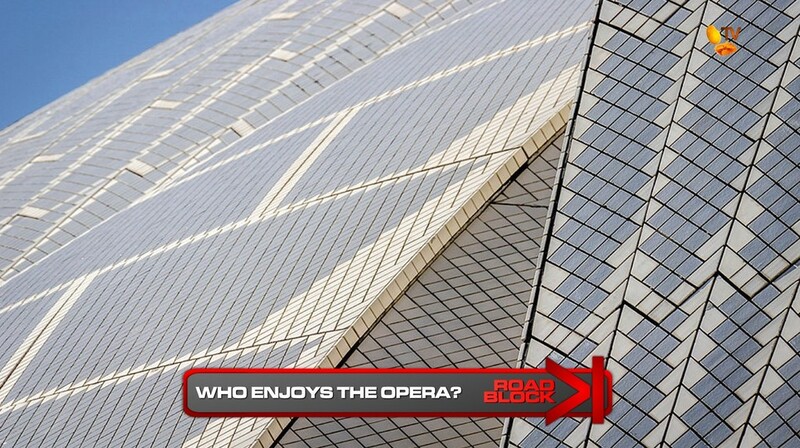 That clue reveals the Road Block: Who enjoys the opera? For this Road Block, teams will rappel down the iconic rooftops of the Sydney Opera House where they must replace a broken tile on the way down to receive their next clue. 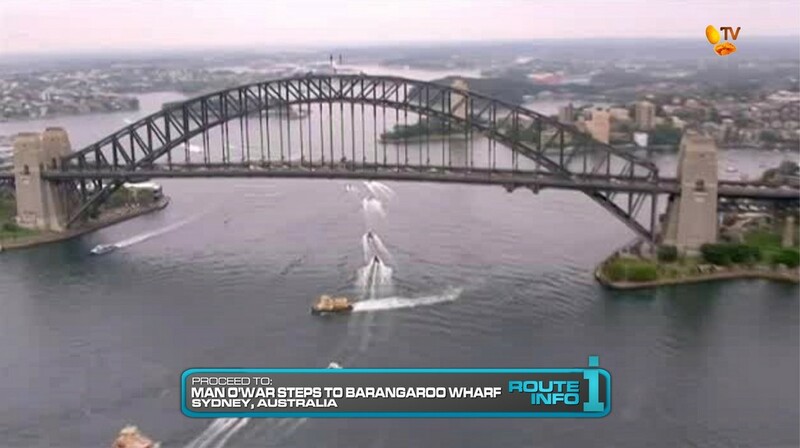 Teams must now make their way on foot to the Man O’War Steps and choose a boat to take them to Barangaroo Wharf. 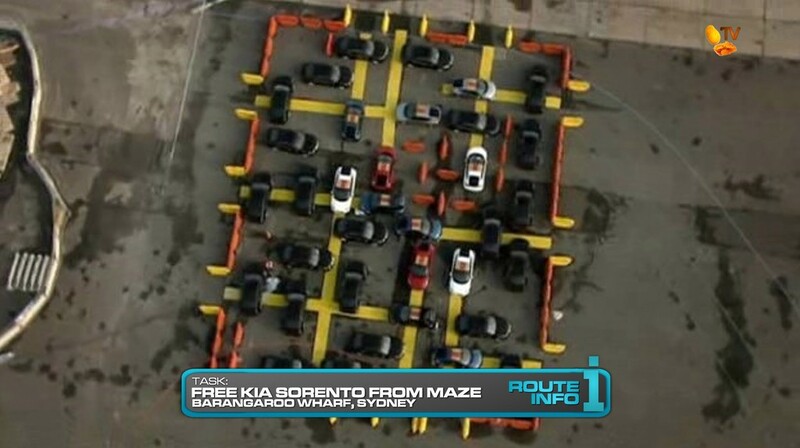 Here, teams will find a maze of different Kia models. They will need to choose one of the four marked Kia Sorentos and move the other cars only forwards and backwards to clear a path for their chosen car. Once they’ve freed the car, they will receive their next clue and can drive the car for the rest of the Leg. 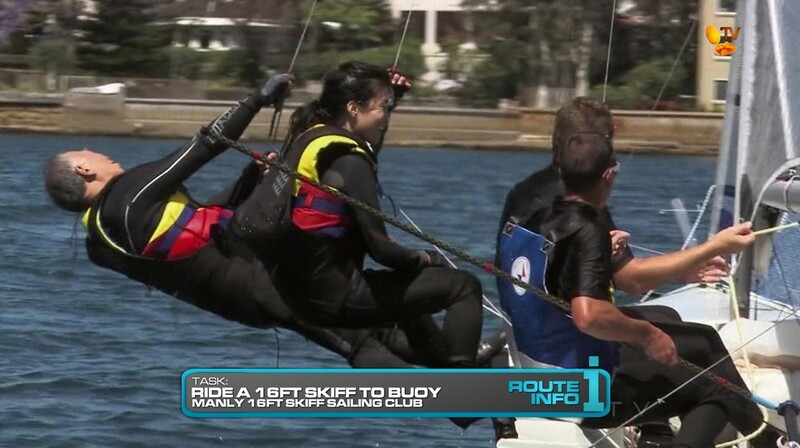 Teams must drive to the Manly 16ft Skiff Sailing Club where they will join a sailing crew and ride a 16ft skiff through a race course to a series of buoys that have their next clue. 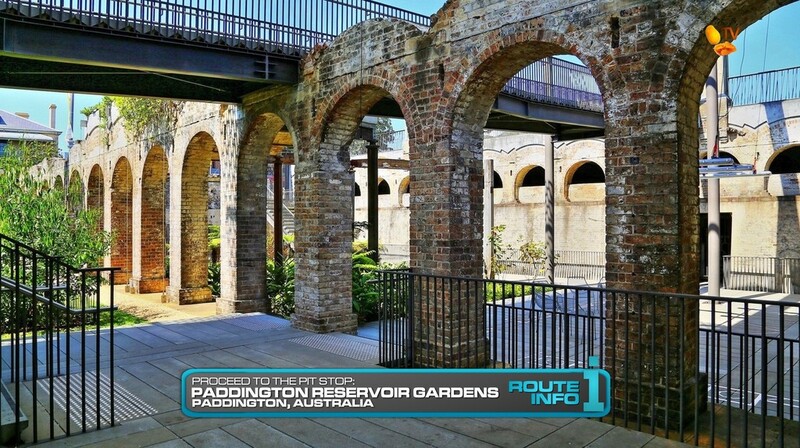 And that clue points teams to the Pit Stop, Paddington Reservoir Gardens. The first team to check-in here will win P200,000 from Shell V-Power Nitro+. The last team to check-in here WILL be eliminated and miss out on the Final Leg of the Race. Penultimate Leg! This should be a solid penultimate Leg, but I definitely think the other penultimate TARPHDME Legs have been a little more exciting. Hehe. Especially as there is no penultimate Leg memory task which has become the norm on TARPHDME. 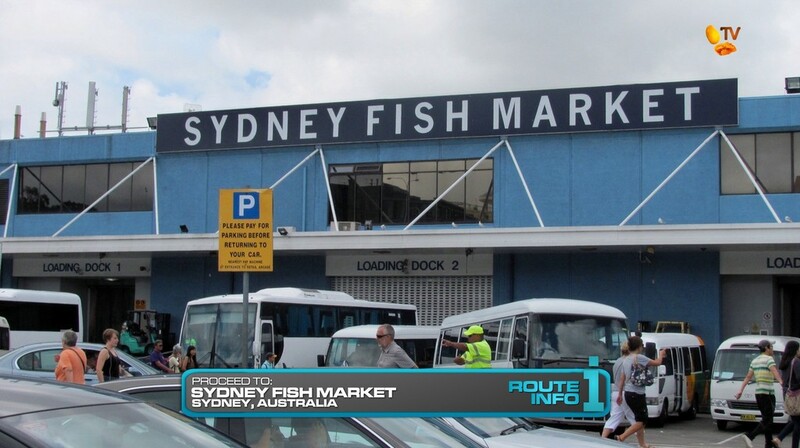 The Sydney Fish Market Detour is a pair of fresh tasks which should be a good balance. The auction may be very tedious and challenging, especially for people who are unfamiliar. The oysters may seem daunting at first, but it is much more straightforward and could actually be easier. Best case scenario is teams choose the auction then decide to switch. Rappelling down the Sydney Opera House should look amazing! It will likely be the most expensive task TARPH will need to have set-up, but it should pay off big time. I just found out TAR China did the car maze too, so why not here as well. Especially in the same location as the original TARAU2 Starting Line task. Plus, Kia will love the exposure which means more moneys for the show! Woohoo! Thanks Kia! The skiff sailing is just another extra task for this penultimate Leg, but could easily be omitted as well. Overall, a solid Leg with LOTS of tasks.